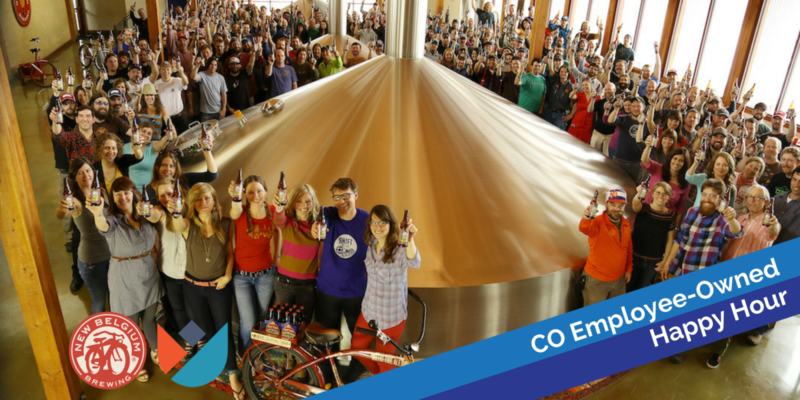 Did you know that Colorado is home to nearly 150 employee-owned companies, including three employee-owned breweries: New Belgium Brewing, Odell Brewing Co, and Left Hand Brewing Company? October is employee ownership month. Celebrate with a pint of employee-owned beer and learn how employee ownership could work for your business in Fort Collins. WHAT: Employee-owned companies of Northern Colorado will be tabling and discussing their businesses. The Rocky Mountain Employee Ownership Center will share a brief overview of employee ownership, and New Belgium Brewing is graciously hosting a happy hour. WHO: This event is perfect for anyone interested in employee ownership, including business owners, business advisors, economic developers, and community leaders.